Motorcycling just isn’t cricket, I tell you. An all-rounder in motorcycling is a label that seems to be applied as a last resort to bikes that we can’t easily fit into some pre-existing class. Or bikes that, for instance, used to be sport bikes but have been left behind by the march of new technology and models and so slide into ‘all-rounder’ obscurity. If you’re into the cricketing thing then you’ll know that some of the greatest players now, and in the past, have been all-rounders.If you’re a cricket, then you’ll know how sought after is the perfect all-rounder. If motorcycles were players, then Kawasaki’s Z 1000 SX would be destined for greatness, the next Jacques Kallis or Ian Botham. In modern parlance the SX is on the face of it a sport-tourer, its primary focus to provide a bike that can mix the attributes needed to both enjoy a spectacular mountain pass, and to get you to the mountains in the first place. Sounds easy, but is in fact a delicate balance that often ends in a bike that leans too far one way or the other. The SX avoids that trap and comfortably straddles that line that divides sport from tourer, happy to transport you in comfort from coast to coast and then equally pleased when you decide to slap on a pair of sliders and go a bit bonkers down a twisty road. The 2017 update is a subtle but significant evolution of the existing SX, a model that has been around for a few years now. 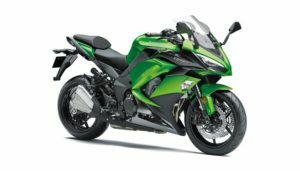 Because the SX carries the Ninja designation (it’s called the Ninja 1000 in some markets, including the U.S.) it has had its bodywork tweaked so that it is more areo-friendly, and perhaps more importantly now carries the same family look as the H2 and ZX-10R. 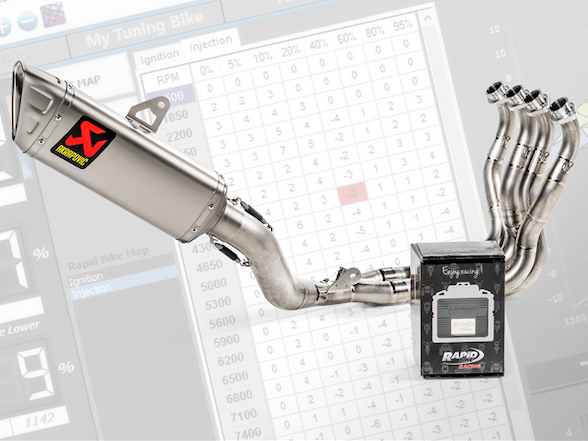 Further big improvements have arrived in shape of a more comprehensive electronics package which now puts the SX on a par with some of its more expensive competition. A six-axis IMU means advanced traction control and ABS settings and more effective rider modes. 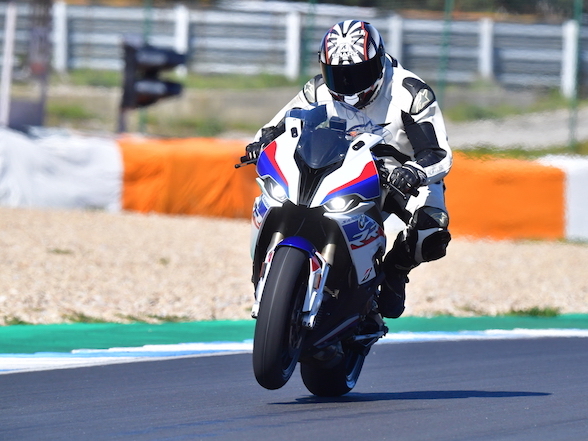 Settings have also been revised for the bike’s ECU, and though I may not understand the intricacies of the computing development involved I can certainly feel the end result – a great engine that is even smoother and more responsive than it was. The four-cylinder 1043cc motor is otherwise largely unchanged, and that’s okay because the 142bhp unit is strong enough to consider itself the consummate tourer through the mid-range and a genuine sport bike for the last 3000rpm dash to the 11,000rpm redline. The ZX, as we discovered at Gerotek’s devilishly tight Dynamic Handling Track, is happy to play knee-done hooligan, too. It’s not by any stretch of the imagination particularly light, but the chassis and grunt-laden motor do a top job of hiding any extra touring kilos when you’re in the mood for action. The Z 1000 SX is close to being the ultimate road all-rounder, quite content with fulfilling your commuting needs, but ever-ready to explode into a gentleman’s superbike whenever you’re ready.